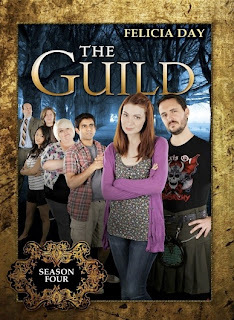 the last geek bus home: The Guild Season 4 Marathon on Sunday! BC Browncoats watch in style. The Guild Season 4 Marathon on Sunday! BC Browncoats watch in style. One way to stave off Guild Deficiency Syndrome! It's always hard to find new ways to stop the GDS from kicking in hard. Luckily there are now The Guild comics, too, but nothing beats sitting down to watch a whole season in the company of like-minded people. Once more La Fontana Caffe is the venue for what promises to be an afternoon of Guildie-related fun. Great food, company and entertainment - guaranteed. Want to see BC Browncoats in Action? For the last 5 years the BC Browncoats have been celebrating Can't Stop The Serenity day in Vancouver, raising lots of cashy money for charities such as Equality Now and BC Women's Hospital Foundation. I've been to the last 3 events and they were amazing - a wonderful day out topped off by seeing Serenity on the big screen. How are YOU coping with Guild Deficiency Syndrome?